Chunky Trainers in the office? Are you a fan of high-volume, high-heeled shoes or those with grabs? And the elegant sneakers on a platform? We knew you were! 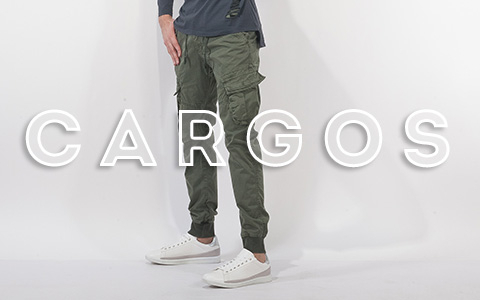 Still, this is the last hit of urban fashion. Now you will understand why, apart from modern ones, they are also a creative and cool way to bring in your style a more attractive touch. Is not necessarily office is the place to wear strict and uniform clothes to be. Of course, having a good style is important, especially when you are in a working environment, but there are easy and quick ways to break your image without losing the elegance of your overall vision. The best thing about this is that you do not even have to go shopping for new clothes because the little secret is that the big change in style will come not from clothes but from the shoes. But how? 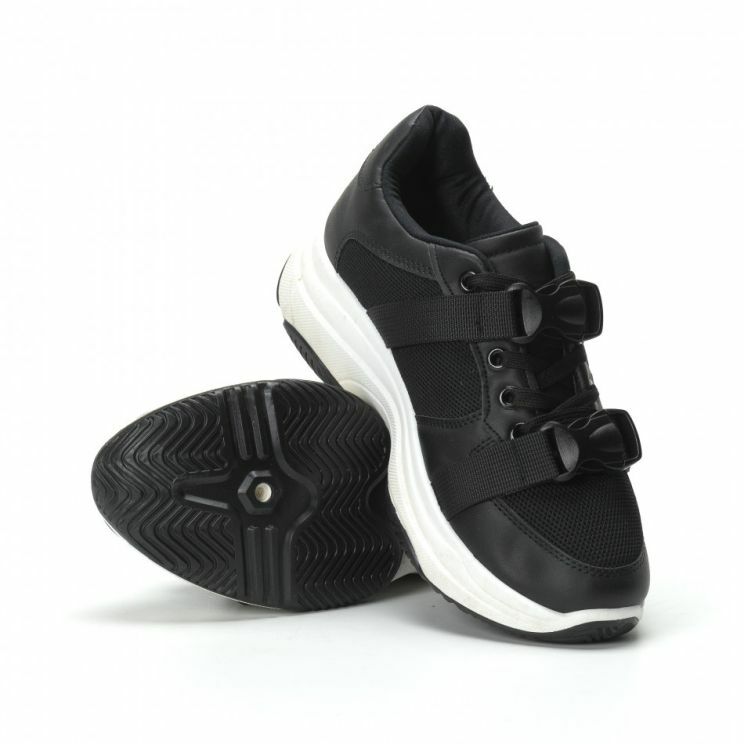 Through good and comfortable sneakers, in particular (in view of the latest fashion trends) - chunky ladies sneakers. This type of sneakers not only freshens office clothing, which is usually a suit or trousers in gray, black, dark blue or classic pepper but they also are a fun and convenient way to meet the new season that implies more dynamism and ease. The urban environment requires you to be in constant readiness for intense movement and movement from point A to point B, all the time you need to look good, right? How is correct to wear chunky sneakers? 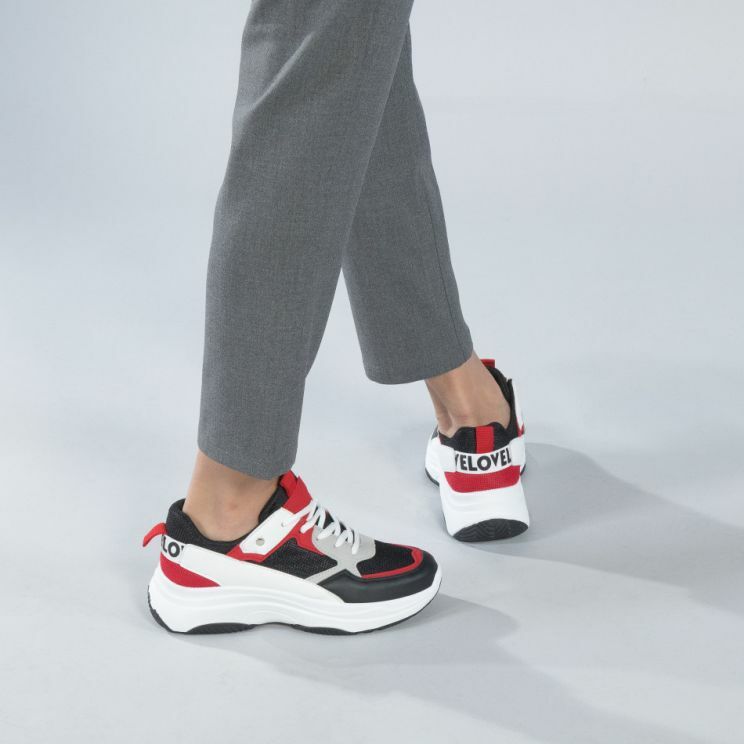 Chunky sneakers are ultra-modern and will make this task amazingly easy because you can boldly combine them with a suit, sporty-elegant trousers, jacket and jeans, and why not with a suitable dress. Another advantage of the hit chunky sneakers is that their looks are an ideal balance between sports and elegance. 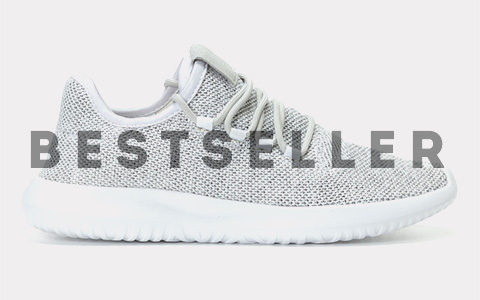 This is due to their design, combining the classic look of the sport sneakers with a more tall and tall soles. This rescue the feeling of comfort, but also adds a more modern element. The colors and patterns of this kind of shoes are enormous, so the ways you can wear them in the office are numerous and depend entirely on your personal style and taste. Do you like to wear monochrome shirts and jeans? 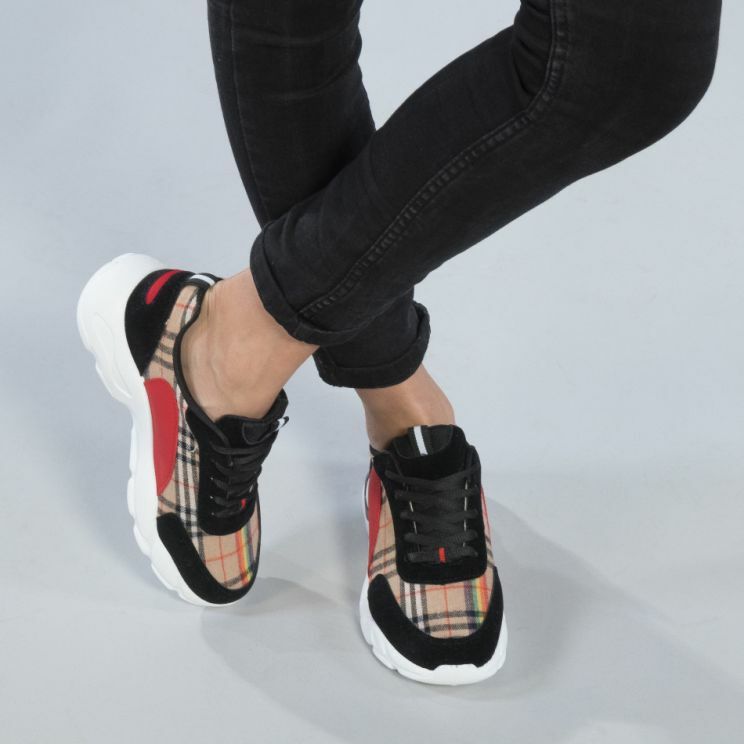 Match them with ladies sneakers on a classic design platform or with ultra-modern ladies running shoes in white and keep the classic look while refreshing it. If the warm and smiling time inspires you for a romantic vision, take out your favorite dress (floral motifs, monochrome, embossed ...) and combine it with white ladies socks with black heels and caps or black sneakers with a strip and a platform. As you well know, black and white suit everything, so let your imagination go free and experiment with any office garment you find in your wardrobe. 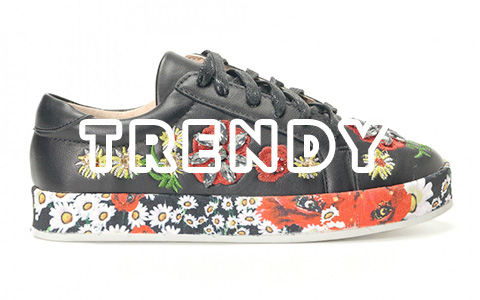 Chunky sneakers are waiting for you to rise up right at the forefront of modern trends.